Some time ago I learned of a famous painter who, in a workshop, shared his painting tips for taking good photos for doing portraiture. These are not the usual “painting tips” you'd expect to get, but it points out that it is important that we artists know how to use photographs in our work. Artists nowadays can make use of all sorts of aids for creating paintings that earlier painters would never have dreamed of. The convenience of having an immediate image to copy from is sometimes very tempting, but as an aspiring artist you need to take care. Using photo references effectively takes some skill. You probably don't want to copy a photo slavishly; over dependence on photographs often ends up as a “dead look” in your painting. After all, you are making paintings, not photographs. I come from a school of artists who believe in the merit of drawing and painting from life. When I teach beginning artists, one of the painting tips I share is that, usually, they should refrain from copying photographs at first. Training your eyes to see is the most important capacity that all painters should strive for before they turn to photos to do the job for them. Only when you have learned how to see, should you think about using photos, projectors, or other mechanical means to help you create paintings. It is wise to treat photos as an aid. Once you get the overall shape, then use your artistic license to fill in the rest. 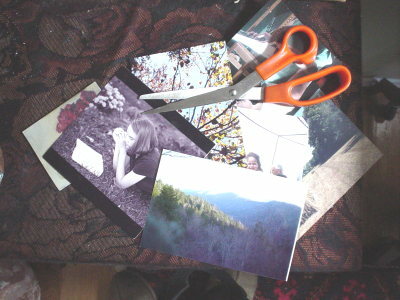 Photos are a means to an end, not the other way around. Here are some of the things I have learned about using photos in the past. Good photos means you want photos taken in good lighting so that you get the correct tonal relationship and color scheme. Any photos that are taken using a flash will usually flush out the tonal contrasts, so be aware of it. Learn to take good photographs. It helps if you use your own photographs, so naturally, it is a plus if you know how to take good photographs. You do not need to be professional photographer, but you should take some lessons in digital photography, read some books, or get a knowledgeable friend to teach you. With powerful digital cameras so affordable nowadays, you should find photography is less daunting than before. Practice taking pictures with your camera and learn what works and what doesn't before you try to use it to shoot reference photos. This way you are able to capture a more or less complete picture of your subject. 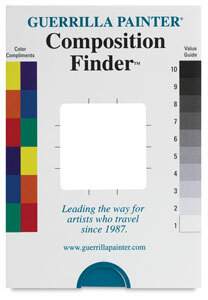 This is very useful whether you are painting a landscape outdoors or working on a portrait in your studio. Here's a painting tip for using photography! Even the best reference photograph is not the same as painting from life, so keep your hands busy by quickly sketching a reference drawing of your subject matter...capture the spirit and the strongest impression on the paper. Sketch out the overall value relationship down as well. Very important! Note anything that calls out to you...The record of your visual and emotional memory will help you interpret your photos. Digital photos tend to have very dark and flat shadows. At the same time, the lights can get so brilliant that they look flat and uninteresting. The tonal relationship is often overly exaggerated. As an artist, you need to know how to interpret what you see and fill in the things you can't see in the pictures. Avoid creating “dead holes” by making the shadow lighter and more transparent with other colors or color mixtures. No blacks or dark browns. If the lighting source is warm, paint your shadow using cool colors such violet, blue or green. If the lighting source is cool, then you may need to warm up the shadow a bit by adding some warmth to the shadows. Experiment to see what works for a given subject. Like I said earlier, colors in photos are never as brilliant and vivid as your eyes would observe. I am often disappointed by the way colors come out in photos. This is where artistic license comes into play. For example, if you see a flat red color, you can use an interesting hot red orange color. If you see a vast patch of green with same intensity, why not vary the greens by adding blue, violet, orange, or yellow in different spots. Use your imagination and experiment. It is also a good idea to alter the colors to your liking with an image editing software such as Photoshop or a free image editing program like GIMP. Don't copy an entire photograph. Instead, determine your canvas format first, then use a viewfinder to crop the section to make it more interesting. If you combine several photographs to make a painting, it can be challenging, because there are many things to consider. You do not (usually) want your painting to look like a collage where the pieces do not fit together. So, watch out for direction of lighting, color temperature, value relationships, and relative scale. You'll have to modify your painted image from your reference photos to make everything coherent. It is time to dig out all the old photos in your boxes and start painting. I hope these painting tips help you! especially in photorealism, check out this page on Art is Fun. And it is also helpful to learn important legal facts about using other people's photos.